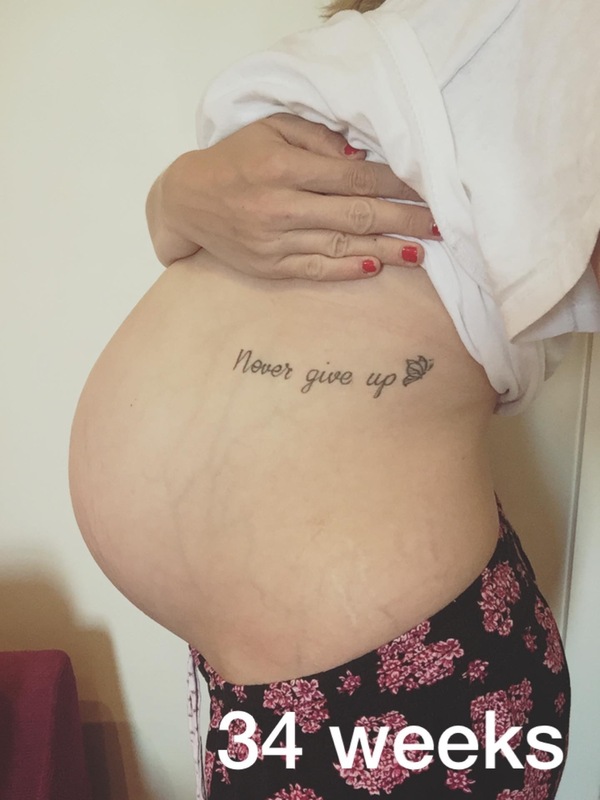 So there’s not a huge amount to add as I only did an update at 33 weeks. I had my second growth scan last week and baby is growing nicely. He was estimated at around 4’14, which is just over average. We have just one further growth scan due At 36 weeks and then hopefully I will be signed off back to the home birth team. I also came off of my antidepressants, something I hoped to have the strength to do before baby arrives as it isn’t ideal to deliver whilst on them (as baby would then suffer withdrawal). I found it hard to start with and suffered dizzy spells and mood swings, but things seem to have settled down now and I’m pleased to be feeling on top of things at the moment. On Saturday I had a pregnancy massage. You can read about that here. It was brilliant to help me relax and unwind, although I did feel very achey in my shoulders the next couple of days! Last night Ed and I went to a home birth meeting, where we sat with other couples planning home births, and listened to a couple with a newborn describe their experience with the home birth team. It made me even more sure that a home birth is something I want to experience. We came away with some useful leaflets and information. After my 34 week midwife appointment tomorrow morning I will hopefully be reserving my birth pool to hire from 37 weeks (they hire them for 5 week periods to ensure baby is born within the hire times). I went back to work this week after a week of annual leave off and I am finding it very hard now. I think the break made things worse. I’m struggling a bit doing the school run before and after work as well. I will definitely be less stressed when I have the baby here rather than carting him around everywhere in my belly. The weather is not helping. It’s been rainy and gloomy the past couple of days but the temperature is still high so it’s been very muggy and uncomfortable. I feel like I need to be in a nice cool pool, I’m hoping going back to swimming with Carly tomorrow after the long summer break will help! I’m definitely looking forward to a day off anyway! Next week it will be only 2 weeks until I’m at term (my midwife explained that 37 weeks isn’t ‘full term’ as I had been referring to it, but term, with full term being 40 weeks otherwise known as baby’s due date). Baby still feels like he wants to escape as soon as possible so I’ll be crossing my legs until I’m good to go! I have been bouncing on the birth ball to help move baby around from the back to back position he’s currently in though!